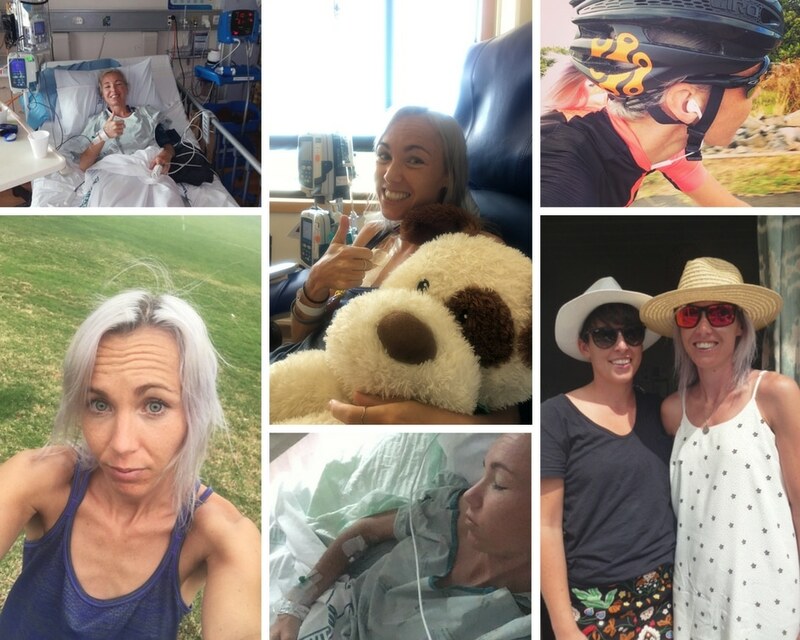 My story: My stage 4 bowel cancer was undiagnosed for 6 years, with my symptoms being put down, at various stages, to my subpar diet and my training as an elite athlete, gluten intolerance, or an ‘appendix mass’. Unfortunately, because of the length of time it was left to grow, the cancer has spread to my lungs and is in lymph nodes around my body. I’ve been told I was never tested because I was ‘too young’ to have something like bowel cancer. If I’d known I could self-fund a colonoscopy I’d have done that – a couple of thousand dollars cost to personally fund a colonoscopy is a small price to pay for an early diagnosis. 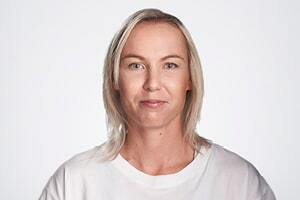 Hi I’m Britt, I’m 31 and I found out in the middle of December 2017 I have stage 4 bowel cancer. Unfortunately because of the length of time it has been left to grow it has spread to my lungs and is in my lymph nodes around the body. I have been an elite athlete on and off for the past 10 years. I was first a professional cyclist where I rode for an Italian UCI women’s team based out of Lake Como. I did this for 2 seasons before the mental and physical toll it took was too much and I figured I needed to do something ‘proper’ with my life. I came home and hung up my bike for a year or so. In that time I went to AUT and studied a Diploma of Fitness Training and really got into running and gym work. By this time I realised I missed my bike and that life so I started doing duathlons, before realising I needed to learn to swim if I wanted to make any kind of career or life out of the sport. And so my love of triathlon was born. In amongst all of this I struggled and still do struggle severely with depression, anxiety and an eating disorder. This all started when I was about 11 years old and badly bullied at school. Although I have been mostly weight restored for the past 10 years it is something I still struggle with mentally on a day to day basis. My eating disorder was and is my way of coping with life. Some people smoke, some drink coffee, some have nervous habits mine is all taken out on food. My training gave me purpose and a reason to fuel the body though and gave me a purpose to eat for. About 5-6 years ago I got really ill with what they later thought might have been glandular fever (I was ‘too old’ and so wasn’t tested for it until months later). Around this time loads of things changed. I never from that point on ever felt quite the same. I was tired all the time, I struggled to get my training done and had to skip loads of sessions. Uni was tough going and trying to work as well was just all too much. My stomach was playing up a lot with either diarrhoea or constipation but I never thought too much about it. I would often get severe stomach cramps and only a foetal position with pressure on the area would help make it go away. I went to the doctors numerous times over the years. But I always left feeling stupid and that it was all in my mind as they could ever feel or find anything wrong with me. My low iron was put down to being a female athlete with a subpar diet and with my stomach issues I was told was probably just gluten intolerance. Any of the severe pain I got I’d just rode it out and left it behind for another day. It wasn’t until October of last year when I was living in the UK something came about. I got really ill with what I thought was, just flu and that I would be fine. 5 days later I was admitted to hospital with an ‘appendix mass’. Because of my size they didn’t want to operate and so I was put on IV antibiotics for 9 days and then let go with the advice to see my GP if things flared up again. No re- scan. No nothing. So I went home. I was planning to come back to New Zealand early November to sort out some things here and catch up with a few people. I had already had to push my flight back 2 weeks due to being in hospital. About a week after being discharged and running out of codeine the pain flared up again and I went to my GP. He was really sorry but didn’t know what to make of it all, printed my notes off, gave me more codeine and said if it flared up in New Zealand to see my GP here or when I got back to the UK he would order a CT scan to see what was going on. He suggested that the mass may have to be taken out at some point if it kept flaring up and being a bother. So I flew home to New Zealand. A lot of people where very concerned about my weight when I landed as I had lost a lot in the hospital but it was put down to this appendix mass being catabolic and eating away at me. After 2 weeks of being home I didn’t feel very well but as I had been told so often that there was nothing wrong with me, so I was very reluctant to do anything about it. I went to see my therapist and he said I didn’t look well and should at least call my GP here and see if she thought going in was a good idea. I got home and spoke to the nurse. They said that I could wait it out over the weekend if I wanted or if I really wanted to be looked at there was an appointment at 2pm. All I wanted to do was train so getting checked out on the Friday seemed much better instead of having to wait a whole weekend before anything was done. I saw the doctor and was told I should go to Auckland hospital A&E to be looked at as it was late Friday there was no chance of getting any bloods back until Monday, just to be on the safe side, so off I went. I was seen by a surgeon on the Friday night and then the Saturday advised to wait on the surgery for this ‘appendix mass’ until the inflammation around it had died down. I had absolutely no idea what to do, they seemed pretty reluctant to go in and operate even though at that point I just wanted it out. Luckily for me the lovely family I have here and stay with are both doctors and before I knew it everything was sorted and I was going to get the surgery done on the Sunday. They were hoping to go in key hole and get it and I was informed I was losing a large chunk of my colon, but to just get this appendix mass out it all seemed worth it. Unfortunately they tried key hole but because the mass was so big and had protruded outside the bowel wall they had to cut me open and take it all out. Recovery was slow, I was in severe pain but because it was just an ‘appendix mass’ removal they were thought they were treating no one thought anything of it. After 2 days and finally a morphine pump I was able to stand and walk to the door and back. I landed up being in hospital for 10 days. I never saw the surgeon again once I had had the operation and I was discharged late the following Sunday evening with plenty of prescriptions and warnings of not doing any physical activity for 6 weeks due to the stomach muscles being cut in two. On the Monday I got a call saying I had an appointment with the surgeon. My friend Sally came along with me as I was told I may need a support person to help with the information and I knew she would be able to interpret the “medical speak” into plain English. We showed up the Tuesday morning none the wiser just expecting to see the surgeon post surgery as what I thought was protocol. Within two minutes of sitting down I was abruptly told I had cancer. There had been no mention of cancer. I was later told I was never tested because I was ‘too young’ to have something like bowel cancer (it would have started when I was about 25 they think). I found out 2 weeks before Christmas. I was supposed to be flying home to the UK end of December. My whole world had been turned on its head. In a second I had lost everything I had known as ‘normal’, triathlon, my life in the UK the rest of my life. Since then everything has been a blur. Before Christmas I saw an oncologist and had a pre surgery appointment for my portachath. Because I was still recovering from surgery nothing felt real. I just had an operation and once it was healed I was going to be fine right? I’d start training again and go back home and race and everything was going to be ok. I didn’t feel real and still doesn’t feel real to be honest. I am so grateful for all the support that I have received from places and people I never dreamed would be there for me. The kindness that has been shown from fellow suffers to the staff at Auckland hospital oncology, the nurses, the Cancer Society, Bowel Cancer New Zealand and the people in my life is over whelming and so much more than I ever thought was possible. Nothing is too much of a problem for these people and I feel so blessed to be surrounded by such amazing humans. Britt has since decided that she is going to give Ports of Auckland – Round the Bays a whirl, which is on Sunday the 4th Of March. If you would like to donate to Britt’s fundraising page – she would be extremely grateful.